This is Adam Westfield and Sage Hammond’s story. Man, this is a very different story. Adam is a man that just got out of prison. Once you discover the man he really is you will admire him. Sage is widowed and is still struggling with losing her husband and keeping their horse breeding business going. Adam ends up working for Sage. They are attracted to one another. Sage is stealing grieving over losing her husband and Adam feels that he is not good enough for Sage. Also, some strange things start happening plus the stress of maybe losing her home and business. Will Adam and Sage take the chance on love? This is an extremely emotional read. 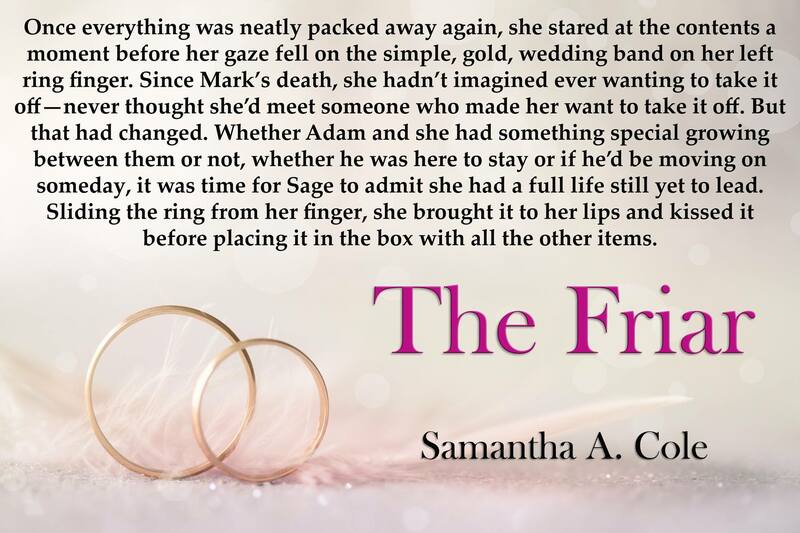 Adam and Sage have so many obstacles to overcome but the author keeps you drawn into the story. You can’t help but fall in love with the characters. A wonderful heartfelt and sensual romance with lots of twists. A must read!